Kwara State Governor, Abdulfatah Ahmed, has denied police allegations of sponsoring, funding and supporting political thuggery. In a statement issued on Sunday by his Senior Special Assistant on Media and Communication, Dr Muyideen Akorede, the Governor described the allegations as false. He also rejected his alleged indictment by the police and the robbery suspects in their custody. Kwara State Governor, Alhaji Abdulfatah Ahmed denies the allegations of supporting political thuggery or any other acts of criminality as alleged by the Nigeria Police or the suspects allegedly arrested in connection with the tragic Offa robbery. Neither has he at any time funded or provided arms to any individual or group in the state or anywhere in the country. To set the records straight, the Kwara State Government has a well known empowerment scheme under the Small And Medium Enterprises platform which is used to move women and youths groups into entrepreneurship. Consequently, several youth and women groups have benefitted from the scheme to date. However, at no point did the Kwara State government directly provide funds to any group known as Good Boys for any purpose. Similarly, if any of the beneficiaries chose to use the SME credit secured from the government to purchase a vehicle which was then alleged to have been used for an act of criminality, the Kwara State Governor and indeed the state government cannot be held liable for such actions since neither had prior knowledge of such intentions on beneficiaries’ part. 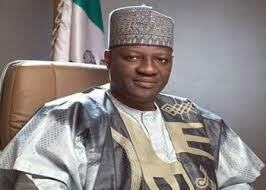 The Kwara State Governor, Alhaji Abdulfatah Ahmed also rejects the police allegation of arming and funding the suspects for political thuggery or for any other activity as false and unfounded as thuggery or any other form of criminality is neither encouraged nor supported by the state government or its agents. While refuting the alleged indictment, therefore, Governor Abdulfatah Ahmed expresses the hope that the police will soon complete its investigations and charge the suspects to court in line with rule of law.